Duela hiru mende mendiak eskalatzea erokeriatzat hartuko zen. Mendiak arriskuz betetako lekuak ziren, inolako edertasunik gabeak eta goragoko mundu bat. Beraz, saihestu egin behar ziren. Hori dela eta, zergatik dira gaur egun hain erakargarriak, bizia bertan galtzera arriskatzeraino? Mountain filmak mendiarekiko gure lilura betierekoaren historian arakatzen du, argitzalez betetako historia loriatsu eta zurrunbilotsuan. Just only three centuries ago, the idea of climbing a mountain would have been considered to next to being daft. The mountains were considered to be dangerous places, wanting of any beauty, an unearthly world to be avoided. So why is it that nowadays, they attract us to the extent that we are willing to risk our lives among them? Mountain explores the turbulent and triumphant tale behind our eternal fascination for mountains. 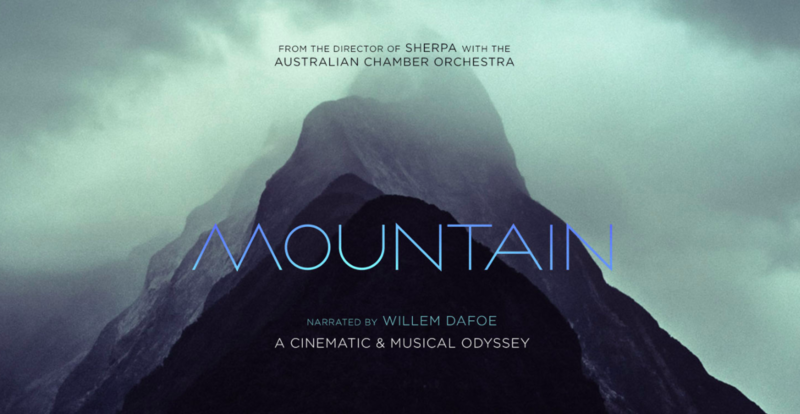 Con una fotografía impresionante, este film nos guía a través de la historia del montañismo de la mano de la Australian Chamber Orchestra, de lo que ha conseguido el ser humano, lo que ha perdido por el camino y lo que queda por descubrir. Una sinfonía perfecta entre personas y montañas.